Danish diving instructor Ivan Katadzic was on holiday in southern Thailand’s beach resort of Krabi when he heard about 12 boys and their soccer coach trapped in a flooded cave at the other end of the country. He spent a few days gathering equipment and then set off to help with the rescue, by which time intrepid cave divers from around the world had arrived too, swelling the throng of soldiers, engineers, paramedics and other volunteers to up to 2,000, according to the local government. “I think it’s phenomenal to see so many divers and nationalities here as well as non-divers helping,” said Katadzic, 44, who owns two diving companies on a Gulf of Thailand holiday island. The junior soccer players, who disappeared in the Tham Luang cave in the province of Chiang Rai on June 23, were discovered in a partially flooded chamber on Monday by British drivers. But their ordeal is far from over as rescuers puzzle over how to extract them through murky water coursing through a network of tunnels. A team of Thai Navy SEALs is coordinating an operation that risks getting out of hand as more and more volunteers arrive, and the media circus covering the drama grows. “Whoever offers help, knowledge, technology, equipment, we gratefully accept,” Chiang Rai Governor Narongsak Osottanakorn said this week, but added that he had turned some people away because they would have been more of a hindrance than a help. 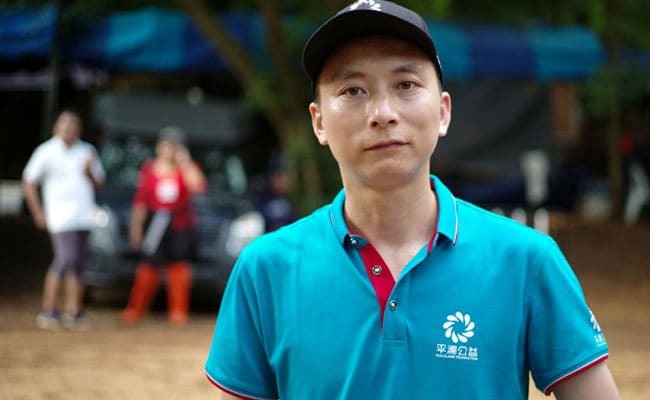 He said he would not take responsibility for unregistered volunteers after a group got stuck on a mountainside and radioed for help, forcing the governor to send some members of the official rescue team to bring them back. Buncha Duriyaphan, local commander of the Thai Armed Forces, said some “well-meaning people” had disrupted the rescue team’s efforts to pump water from the cave. “Last night someone dug up holes to drain water but ended up putting water back into the cave,” he said on Thursday. Most of the volunteers, who have come from as far away as Australia and the United States, have found rooms in local hotels, but some are staying in temples. At the muddy site around the cave mouth, there are tents serving free food and drink for all. Two Britons, John Volanthen and Richard Stanton, were among the divers who found the boys and their coach marooned on a bank inside the cave. Andy Torbet, a former British military diver and friend of the pair, told ITV’s Good Morning Britain that they were “two of the best in the world”. “Normally these sorts of conditions the water’s so muddy you can’t see anything,” he said. 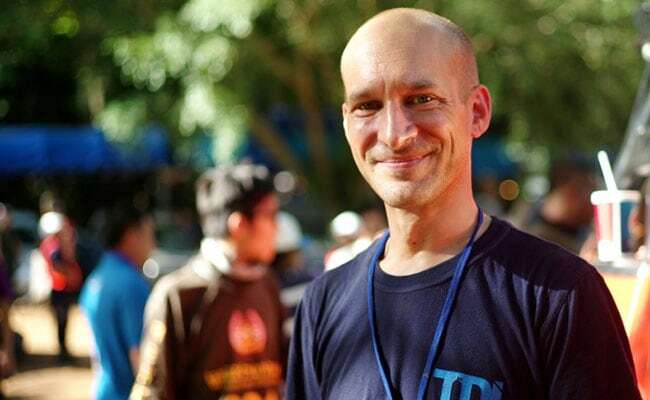 Nick Vollmar, a German paramedic and firefighter said a Thai rescue organisation reached out to him for help and he travelled from Europe with a Finnish cave diver to join the team. “I am a dad myself, one son is 12 the other 16 … so I directly feel the pain. I feel the need to help, no question,” he told Reuters. “It is great to see this (international) cooperation. If we would cooperate globally in every aspect like we do here almost all of our problems would be solved,” he said.